The blood-thinner drug Xarelto has been linked to uncontrollable hemorrhaging and other life-threatening complications. If you or someone you love has developed a serious Xarelto side effect, getting answers about your rights and the available legal remedies can be essential to taking the right steps towards financial recovery and justice. We welcome your calls and emails 24 hours a day, 7 days a week. We provide free initial consultations, and there is NO fee for our services unless compensation is obtained for your claim. While we urge you to contact us for precise answers regarding your potential Xarelto claim, please also check out the following for important information and general advice regarding Xarelto lawsuits and recoveries. What Injuries Are the Basis of Xarelto Claims? Stevens-Johnson syndrome (a painful skin condition that is fatal in about 10 percent of patients). Alerting the public about the fact that there is NO antidote for Xarelto bleeding events. Who Are the Defendants in Xarelto Cases? Bayer and Janssen are the defendants in the thousands of Xarelto claims that have been filed in state and federal courts across the U.S. While these defendants have already paid out millions to settle some Xarelto cases, they still face thousands of additional claims. How Do I Know If I Have a Xarelto Case? The best way to find out if you have a Xarelto claim is to contact Bell & Pollock, P.C. for a free, no obligations case evaluation. There are strict deadlines for filing these claims, so it’s strongly advised that you take this step as soon as possible to avoid missing the deadline and losing the opportunity to seek Xarelto compensation. You were taking Xarelto as directed. You developed a serious Xarelto complication. Those who have lost a loved one to a fatal Xarelto complication may also have a claim against Bayer and Janssen. How Do I Start a Xarelto Case & How Much Will It Cost Me? Simply contact Bell & Pollock, P.C. We can take care of everything necessary to start your Xarelto case at no upfront cost to you. In fact, because our lawyers work on contingency, you will not have to pay us any legal fees until or unless compensation is secured for your claim. In other words, you have nothing to lose by contacting and retaining our experienced lawyers. We offer this to our clients in an effort to alleviate financial stresses and encourage them to pursue the recoveries and justice they deserve. A Xarelto drug injury lawyer at Bell & Pollock, P.C. is ready to discuss your potential claim and provide you with experienced advocacy moving forward. Call (720) 580-4294 or email our firm for a free, no obligations consultation with one of our lawyers. 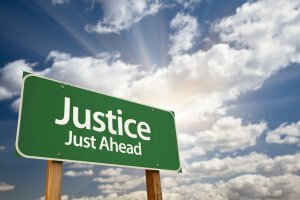 This one meeting can be pivotal to helping you get on the road to recovery and justice. As proud, relentless champions of the people, the attorneys at Bell & Pollock, P.C. are committed to providing the victims of negligence with superior representation, personal service and compassion. We are ready to stand up to big pharmaceutical companies on your behalf and help you fight for the compensation you deserve.